There are five artists with this name: 1. A popular British alternative band active from 1993 to 1998 2. A dubstep producer from Coventry, England 3. An experimental hip-hop musician 4. A garage rock band from Oklahoma formed in 2008. 5. A minimal house producer based out of Atlanta. 1. Sleeper was a britpop group which formed in 1993 in Manchester, England. The band consisted of Louise Wener (vocals, guitar), Jon Stewart (guitar), Diid Osman (bass) and Andy Maclure (drums). The band released three albums - Smart, The It Girl and Pleased To Meet You - and split in 1998. 4. A garage rock band from Oklahoma formed in 2008. 5. A minimal house producer based out of Atlanta. 1. 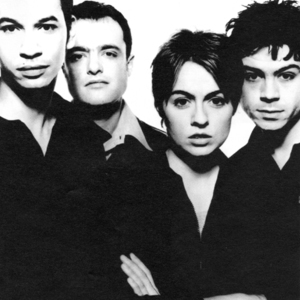 Sleeper was a britpop group which formed in 1993 in Manchester, England. The band consisted of Louise Wener (vocals, guitar), Jon Stewart (guitar), Diid Osman (bass) and Andy Maclure (drums). The band released three albums - Smart, The It Girl and Pleased To Meet You - and split in 1998. Their breakthrough song, Inbetweener, featured a memorable video with Dale Winton, who was a popular icon among students at the time. Sleeper also recorded a cover version of the Blondie song Atomic, which was used as a track in the film trainspotting. Their version was quite well-received and the only criticism is that it was too similar to the original. The It Girl was arguably their finest moment with Lie Detector, Sale Of The Century and Statuesque as the defining tracks. It was produced by Stephen Street then famous for his contributions to The Smiths, Morrissey and Blur. It captured the imagination of the Britpop era. Wener admits that they were basically hanging onto the coattails of the bigger bands including the likes of Blur and Oasis. The original band name for the band was Surrender Dorothy. They took that name from the smoke trail telling Dorothy to surrender in the Wizard of Oz movie. After the band's split Louise Wener went on to have a successful career as a novelist. 2. Dark dubstep producer from Coventry. Often collaborates with District. 3. "Sleeper is a auteur of claustrophobic, sample-based hip-hop production. His work, both as an accomplished musician, and as a respected tattoo and visual artist balances a breadth of spirit with worldly, emotional depth. Finding influence and community in the worlds of classic hip-hop and artistic, experimental rock, Sleeper fills his tracks with sound, leaving an MC with just enough room to create or with the luxury of saying more by saying less. His music is lo-fi with purpose: grainy sounds are used to lend atmosphere to larger, modern electronic sound collages, grimy drums sound out familiar hip-hop patterns beneath thick layers of sound. Sleeper is a craftsman in the truest sense of the word." 4. Sleeper is a raucous punk trio from Oklahoma, formed in the latter half of 2008. They have released a single tape to date, on their own Excitable Boy tape label.